PLCPi can connect to various power meters that have communication port. Usually, power meters in the market have modbus RTU Rs485 or modbus TCP/IP protocols. 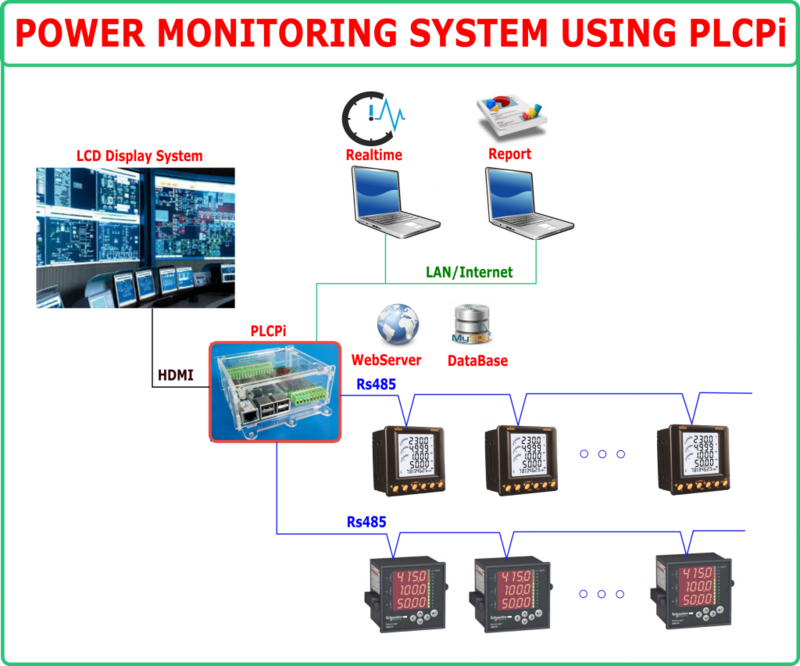 PLCPi uses communication network to ask for real time parameters from each power meter for displaying on to TV, LCD, data logging, viewing onto the web (web server is set up and run on PLCPi ).